Washington, D.C. April 15, 2011 – As the Islamic Republic of Iran continues to detain and execute political prisoners in Iran, protesters in Washington DC gather to demand that the Islamic Republic immediately and unconditionally release Shirko Moarefi, a political prisoner under death sentence in Iran, and all political prisoners being held and tortured by the Islamic Republic. 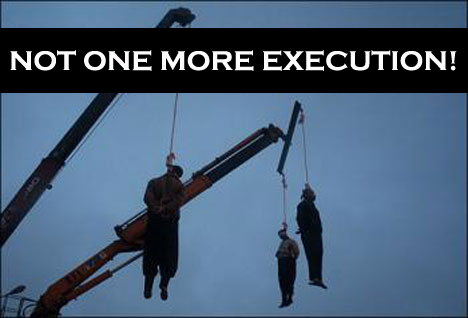 The protesters demand an immediate end to executions in Iran. On April 17, 2011 at 1pm, activists in Washington DC will demonstrate in DuPont Circle, Washington DC to call attention to the Islamic Republic’s ongoing crackdown against people demanding freedom in Iran. This crackdown is reflected not only in increased rates of political imprisonment in Iran, but also in the regime’s continued executions of large numbers of people in the Islamic Republic’s prisons. Because the regime has been targeting members of women’s, student, and labor rights groups for arrest and imprisonment in an effort to crush their organizational activities and intimidate the population, mainstream women’s, student, and labor organizations outside of Iran are particularly invited to stand in solidarity with their Iranian counterparts. 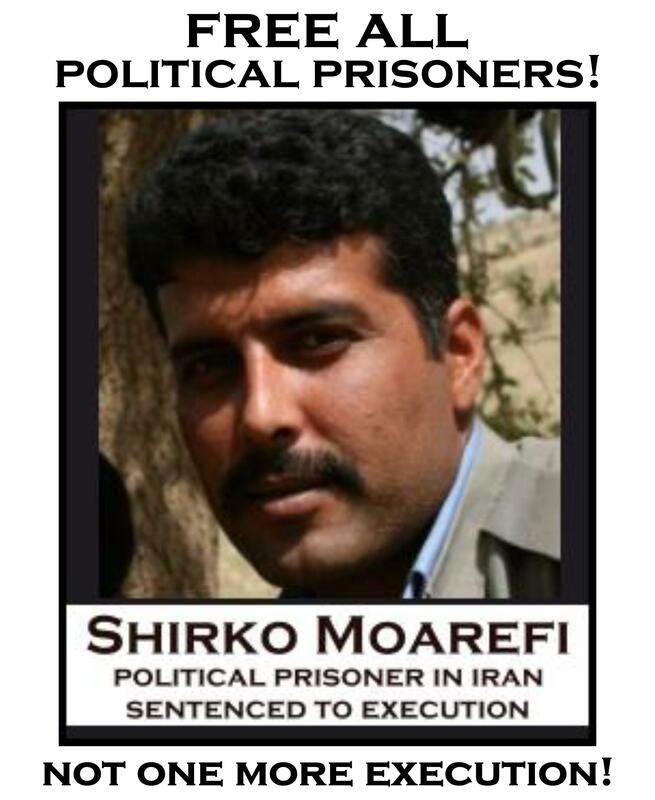 The protest of April 17th demands freedom for political prisoners in Iran and an end to executions, and we extend this demand throughout the world wherever citizens are denied their universal human rights. These Mullas must and will pay for their crimes.